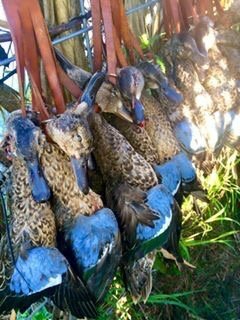 Texas teal hunting. 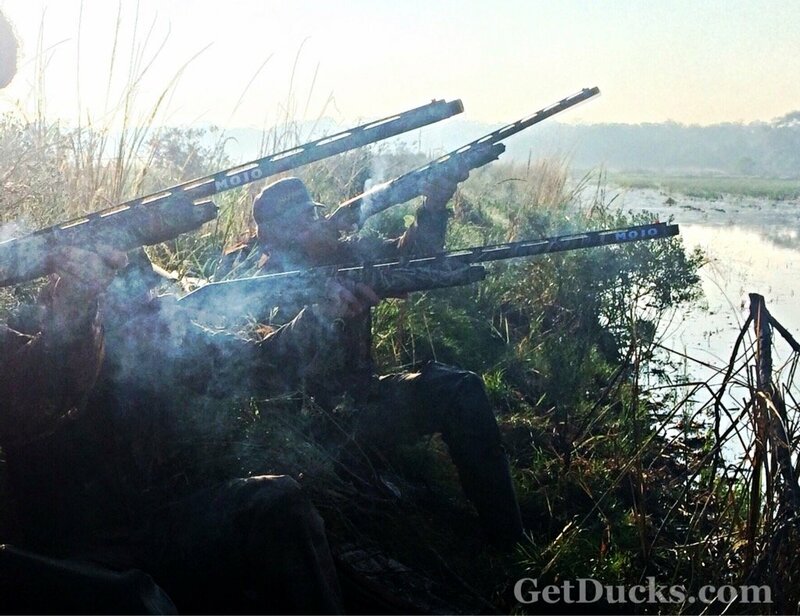 Seen and done it all in duck hunting? 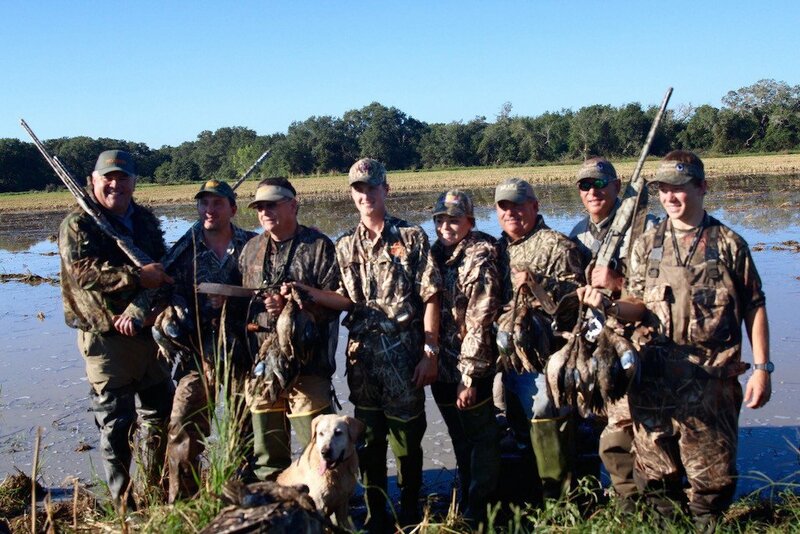 Not unless you’ve Rocky Creek Retrievers Team Waterfowl for Texas blue-winged teal hunting season in mid-September! Some things take seeing to believe, and North America’s VERY BEST blue-winged teal hunt may be one of them. At least it was for me. 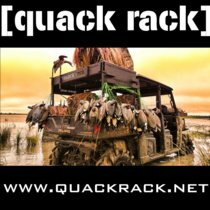 Six-duck limits are the rule – not the exception – for each of the 16-day Texas blue-winged teal hunting season with RCR Team Waterfowl (average 5.5 blue-wings per hunter per day), but it doesn’t happen by accident. Location plays a pivotal role – migrational studies show that most Mexico-bound Mississippi and Central Flyway blue-wings funnel through this narrow corridor of coastal prairie that is renown as Texas’s foremost rice production region. Timely ratooning (second-cropping rice) to include precise water pumping, along with carefully managing an impressive number of associated moist-soil and natural wetlands, are key to ensuring a more impressive concentration of migrating blue-winged teal than most hunters will witness elsewhere during their lifetimes. 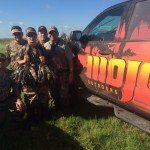 And word is getting out due to MOJO TV (for 3 consecutive seasons) and Wildfowl Magazine – schedule a hunt at anytime during the brief September season and you’re as likely to meet as many guests from California and North Carolina as from Texas. It’s that good. Texas teal hunting begins with hot coffee and sweet rolls that greet hunters well before daylight. Drives to the scheduled hunting area are 20-30 minutes usually. Guests are driven to comfortable blinds in Polaris quads and are free to visit and organize themselves while experienced guides place decoys. The best of hunts are fast-paced barrel-burners that are over before you know it. Mrs. Peggy’s breakfasts await hunters as they return and are enough to feed an army. 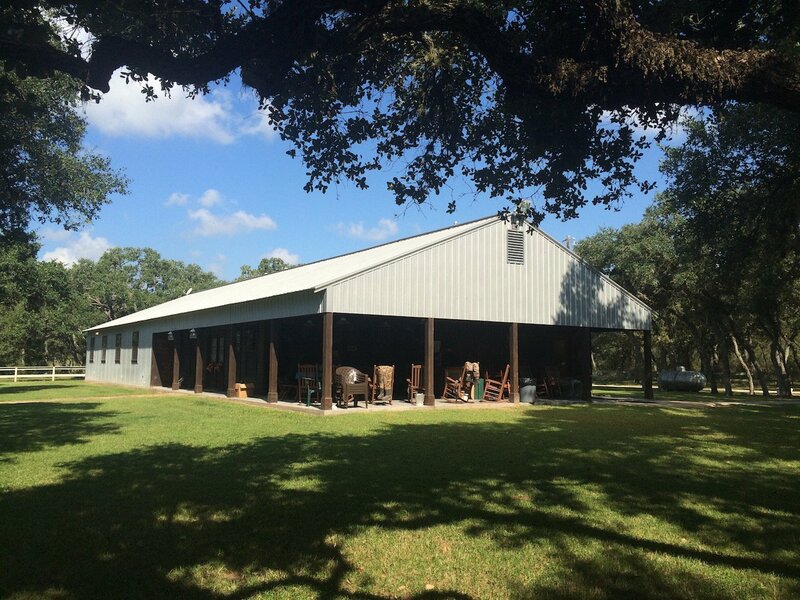 Afternoon activities include visiting with guests while watching televised college football on either the covered porch or inside the den, running errands in nearby El Campo, a round clay targets, pan fishing a nearby stock tank, or taking a stroll to view an abundance of Texas wildlife. Dinner is served soon after sunset. 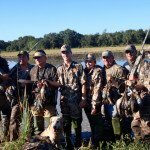 Texas teal hunting takes place about 2 hours from Houston, in Wharton County, near El Campo. Guests are lodged in the well-appointed Double G Lodge that sleeps up to 21. Each bedroom bunks 2-3 guests with ensuite private bathroom. Wifi is available. The spacious living room area is complete with fire place, full size pool table, flat screen TV, multiple recliners and a couch. Two huge, home-cooked meals daily consists of regional favorites such as platter-sized Texas ribeye, fried fish, smoked brisket, pulled pork and Tex-Mex, complete with sides and desserts. Snacks and beverages are readily available throughout the day. 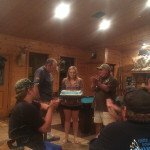 Texas blue-winged teal hunts are the perfect introduction to waterfowling for youths and spouses. 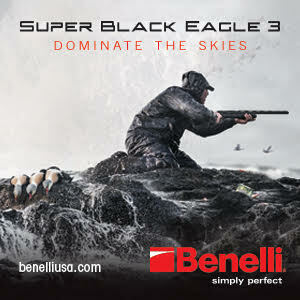 The weather is warm, equipment needs are minimal, and here hunts are usually action-packed. 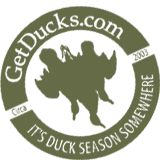 Youth hunter discounts are available. Only rarely are reservation accepted for parties with fewer than 3 guests (call to ask). 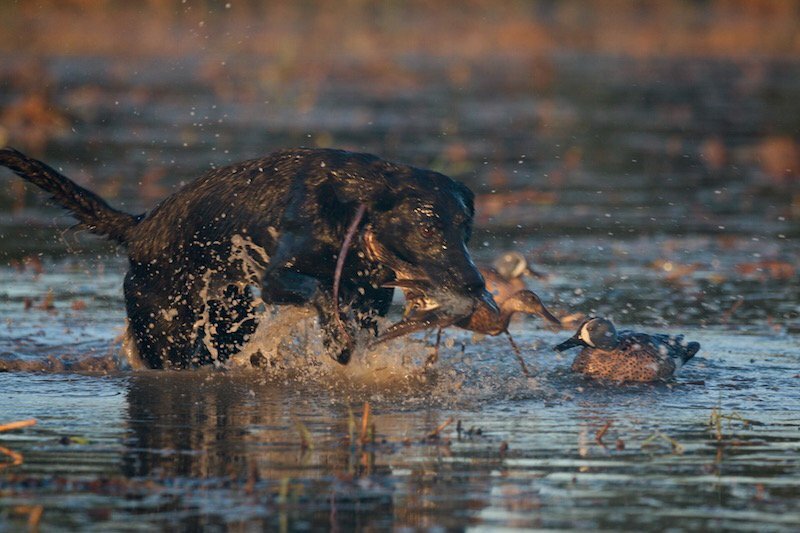 Steve Biggers began his guide experience in college and he has followed his passion to create a unique business with Rocky Creek Retrievers and Rocky Creek Retrievers Team Waterfowl. A professional retriever training for many years, competing in AKC hunt tests and titling numerous master hunter dogs, he and his daughter Laura Hertel operate Rocky Creek Retrievers. 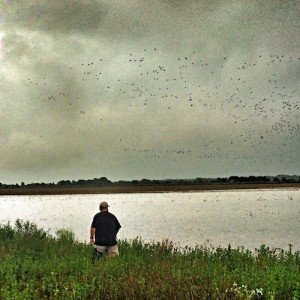 He has been waterfowl guiding since 1985. 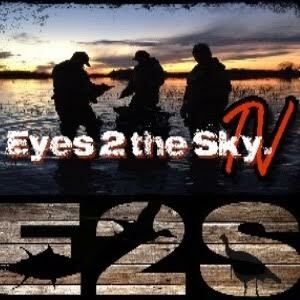 He is on the Pro Staff of Drake Waterfowl, Mojo Outdoors, and GetDucks.com. 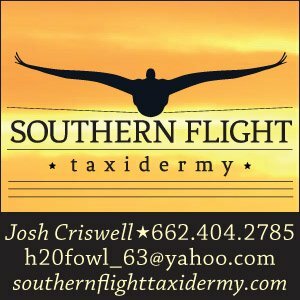 For more information about Texas blue-winged teal hunting, or to reserve dates, Contact Steve Biggers at 281-610-8226, email sbrcr01@aol.com. 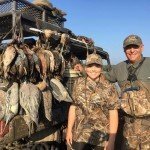 Texas blue-winged teal hunts are in mid-September (the 2015 season occurred September 12-27) and last for a period of 16 days. 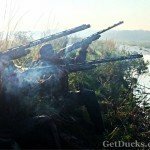 Consult the Texas Hunting regulations for update. 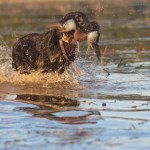 Rocky Creek Retrievers Team Waterfowl also runs limited rice field hunts for white-fronts, pintails and other ducks November through January. Contact them for more information. $400/day per person. 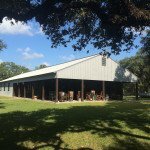 Includes morning hunt, bird processing, lodging, meals, snacks and soft drinks. BYOB. Terms: 50% deposit required to confirm reservations. Balance due on arrival. Cash, Check, or Credit (excluding American Express). Texas License Fees: 5-day non-resident $45.00, State Migratory Duck Stamp $7.00, Federal Duck Stamp $15.00, H.I.P. Certification (Free). Retriever Policy – One per party. Facebook Rocky Creek Retrievers, Inc.